Frame Tents are a practical solution where a large Traditional tent is required but needs to be on hard standing. They are a conventional metal frame construction with PVC walls and roof. 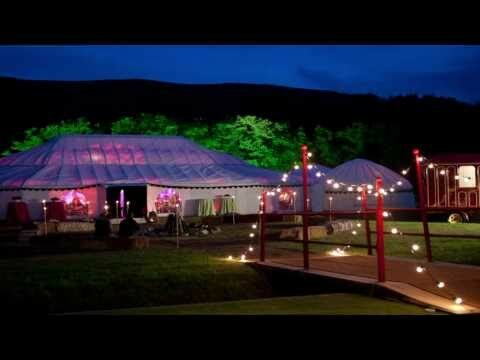 Frame tents come in many sizes and are ideal as catering tents as well as large venues for weddings and parties. We have a number of beautiful hand-made linings in natural fabrics to choose from to feel like you are inside a Traditional tent rather than a conventional frame tent. Various flooring options are available and we can create a lighting and dressing package to suit your requirements.